We just wrote a post on about Luc”s on alteats but I am so enamored with this new find that I wanted to post something on hungrywoolf as well. It seems that a lot of the best ethnic food in Columbus is hidden in the back of grocery stores (Arirang, Mecca, Salam) and this is no exception. The market is fascinating, but what keeps taking us back to Luc’s is their prepared food. What the dining area may lack in polish the food makes up for in flavor. 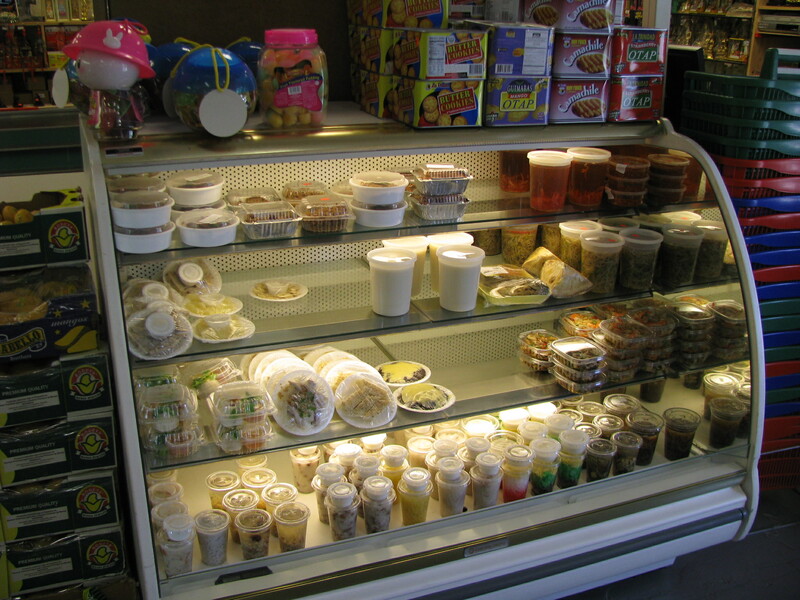 As you walk in, the first thing you see is a refrigerated food case. 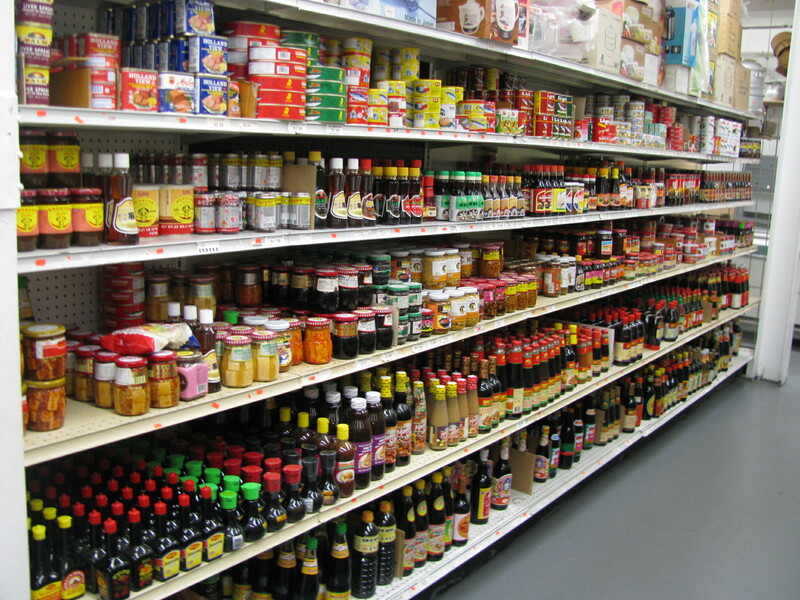 The contents vary daily and may contain pickles, salads, sauces, rolls, dumplings and desserts. While there are some interesting options in there, unless its Monday the real destination as in the back left corner of the store. 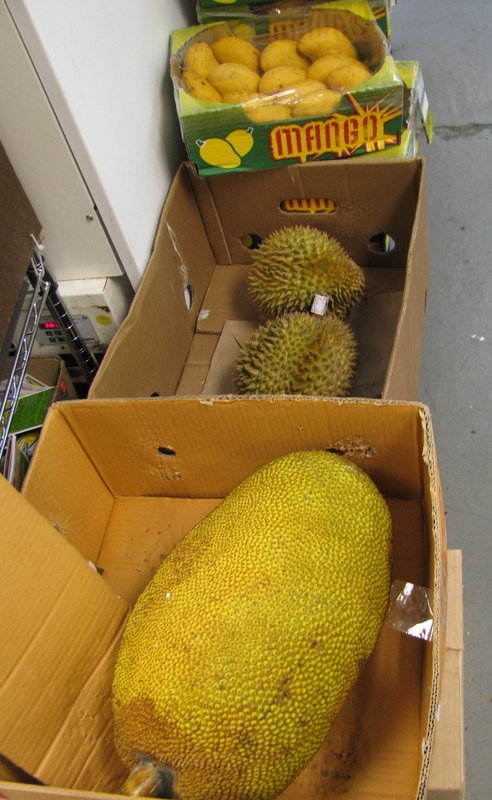 Head past the aisles of rice and noodles, the other refrigerator with exotic fruits and the boxes of fruit piled on the floor. Stay focused, there is much more to distract you on your way: the store is a treasure trove full of fresh noodles, live crayfish, preserved duck eggs, fresh quail eggs, pork bung and woks bigger than a regular stove. 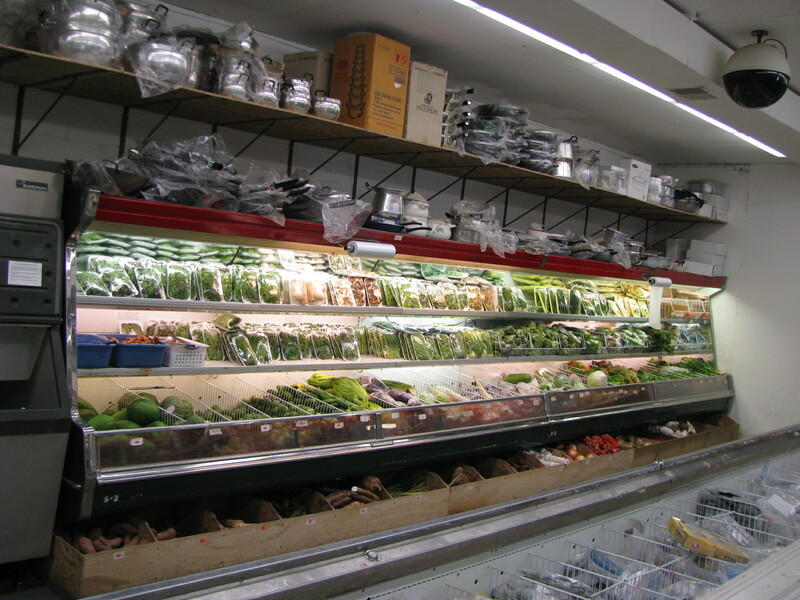 Once you work your way through the produce and frozen section, your destination is now in sight. The produce area is my favorite even though (or perhaps because) I need help identifying half of the items displayed. 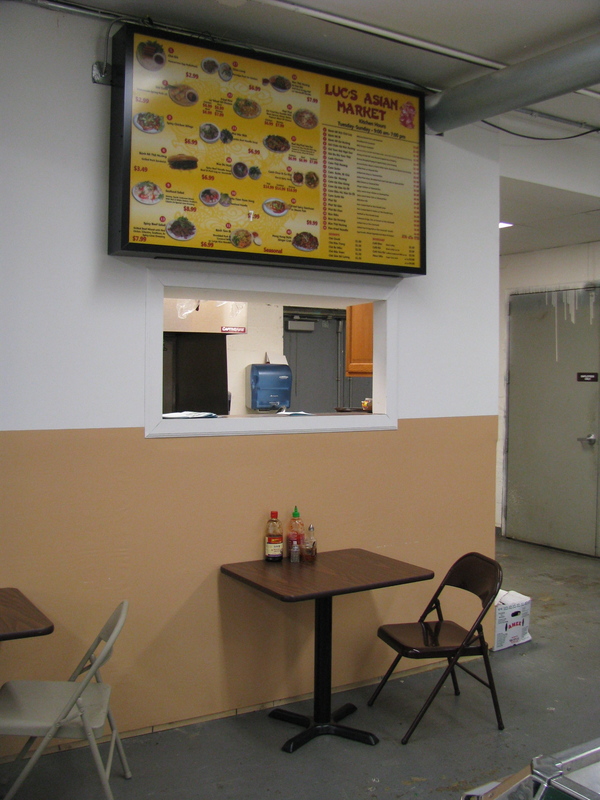 Finally you have reached the counter and can peruse the menu and place your order. Luc’s has a lot of interesting dishes on offer but the owner said that she sells mostly pad thai and fried rice and she’s threatening to discontinue some of the less popular dishes. I’m hoping that we can stimulate some demand so that she will change her mind. Everything we have eaten has been really good, but the pork chop I had on my last visit was hard to beat. Marinated with lemongrass, beguilingly sweet and oh so succulent, it was easy to love. 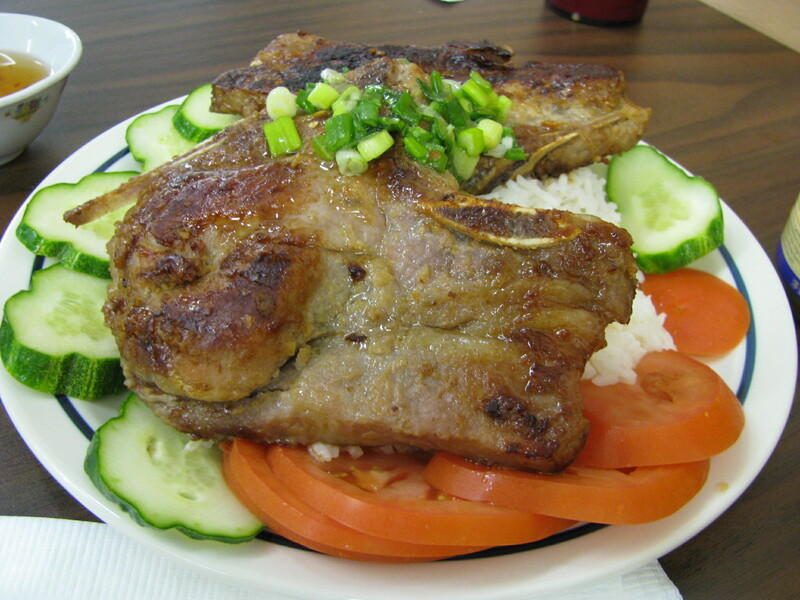 You can also have pork on top of vermicelli or in a bahn mi sandwich. Luc’s is at 3275 Sullivant Ave. The kitchen is open Tuesday-Sunday 9-7pm. They usually have pre-made bahn mi sandwiches on offer at the cash register as well as the dishes in the refrigerated case. More photos to whet your appetite on flickr.